This is a common question that’s been so mind boggling to a lot of people. Others even resorted to signs, flipping a coin, etc. to make a decision. But, is that really how it should be done? Decisions only you can make. Decisions others can make for you. Decisions you can’t afford to make. Decisions you can’t afford not to make. 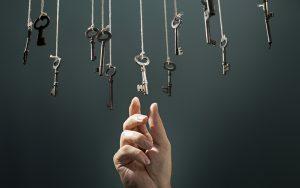 In life, we make a variety of decisions everyday, from the simple “What should I wear today?” to the complicated “What do I want to do with my life?”. There are decisions you must make by yourself and there are ones where other people make for you. No matter how big or small, they are everywhere and each one you make throughout the day shapes your life in innumerable and somewhat unpredictable ways. In fact, your life is how it is today because of all the decisions you’ve made in the past. Therefore, every decision you make is important, and every decision you make significantly influences the direction of your life. 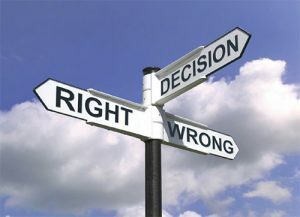 How do we make BETTER decisions? We have all vested interest on becoming better at making decisions. In the past we’ve made mistakes in making them and change as time went by. We struggle on to get better at making them. But, how do we really determine if we made a better decision? Is there a feedback or a review like how it is on social networking or online shops? There is nothing, I believe. So, it solely depends on us and we must accept the consequences of our decisions, learn from them and change for the better. Just recently, I’ve made one of the biggest decisions in my life. I had so much difficulty coming to a conclusion and finalizing everything because a lot were at stake. I resorted to doing so many things and consulted most of my friends about it. I even tried to deny that the problem existed and that I should just ignore and continue with my life. However, all my efforts were to no avail. It never went away. It stayed and kept lingering to my thoughts day and night. So, I decided to face it and went down to the root of the problem. The decision-making process was unpleasant. There were times when I wanted to give up and just leave everything hanging. Nevertheless, it is something that’s needed to be done in order for me to move on. The decision I made was really tough and would probably make me regret at some point in the future. I don’t even know if it’s good or bad. But, one thing I’ve learned from this endeavor is that, we should be clear of what we want. In this life, we can’t have everything. We should not be greedy! In order to achieve what we want and succeed, we must learn to let go of other things no matter how difficult it may seem to be. Photos above are from google.